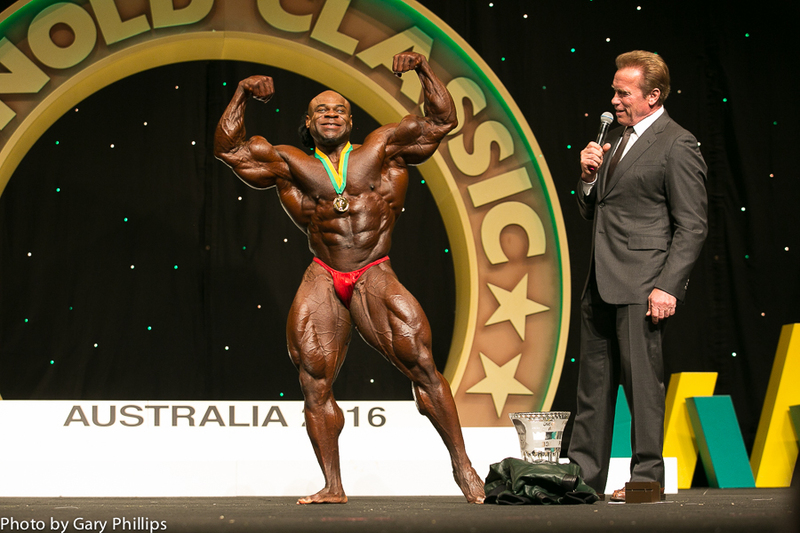 MELBOURNE, Australia – Kai Greene of Brooklyn, New York, backed up his win at the Arnold Classic by outlasting Cedric McMillan of Heath Springs, S.C., to win the men’s professional bodybuilding title at the 2nd Annual Arnold Classic Australia on March 19, 2016. 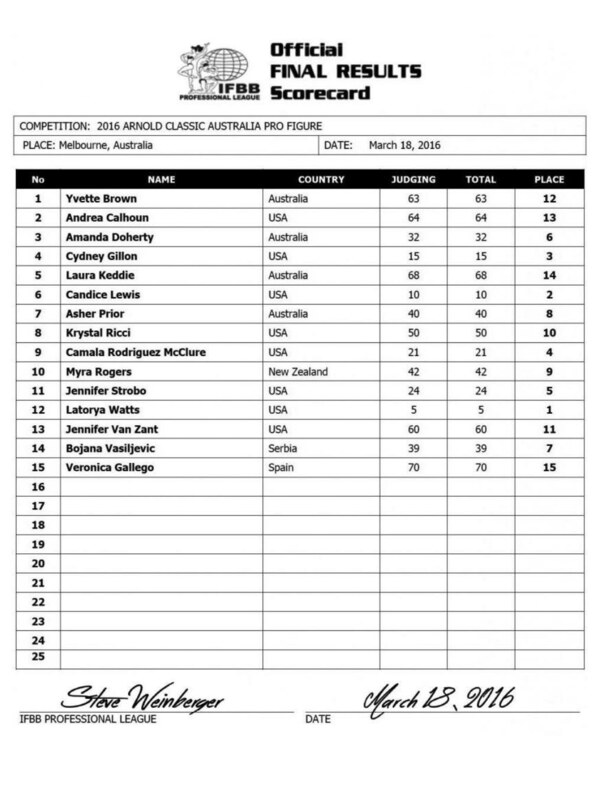 Greene was one of four IFBB Pro League stars who won titles at the 2016 Arnold Sports Festival who traveled to Melbourne, Australia and won again at the 2016 Arnold Classic Australia. 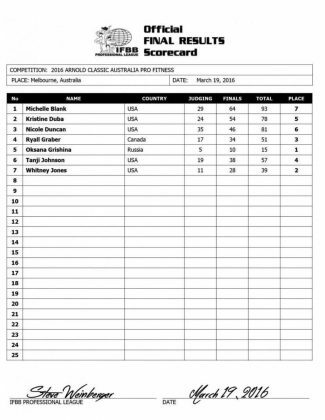 Oksana Grishina (Pro Fitness), Latorya Watts (Pro Figure) and India Paulina (Pro Bikini) also posted repeat victories. 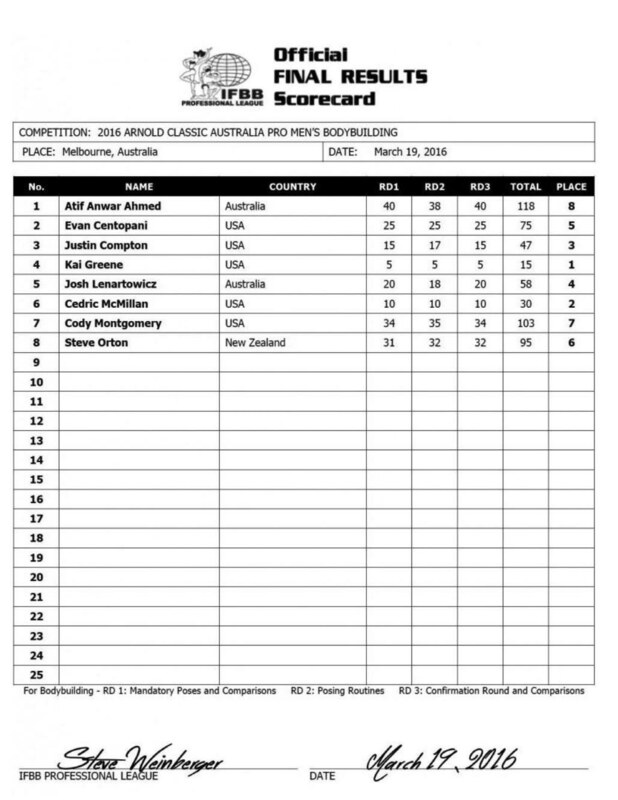 The top six in the Men’s Open Pro Bodybuilding at the 2016 Arnold Classic Australia: Greene (USA), McMillan (USA), Justin Compton (USA), hometown favorite Josh Lenartowicz (Australia), Evan Centopani (USA) and Steve Orton of New Zealand. Cody Montgomery of the USA and Atif Anwar Ahmed of Australia also competed. 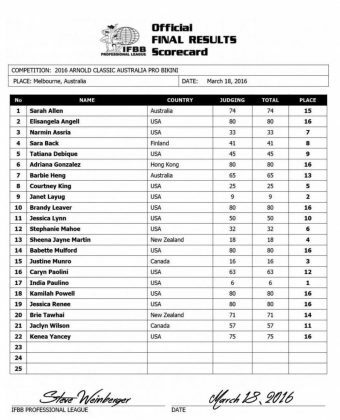 The top six in Pro Fitness at the 2016 Arnold Classic Australia: Grishina (USA), Whitney Jones (USA), Ryall Graber (Canada), Tanji Johnson (USA), Kristine Duba (USA) and Nicole Duncan (USA). Michelle Blank (USA) also competed. 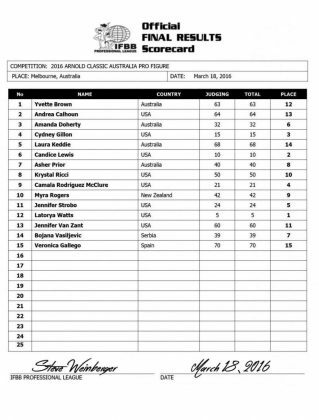 The top six in Pro Figure, which featured at field of 15, at the 2016 Arnold Classic Australia: Watts (USA), Candice Lewis (USA), Cydney Gillon (USA), Camala Rodriguez McClure (USA), Gennifer Strobo (USA) and hometown favorite Amanda Doherty (Australia). 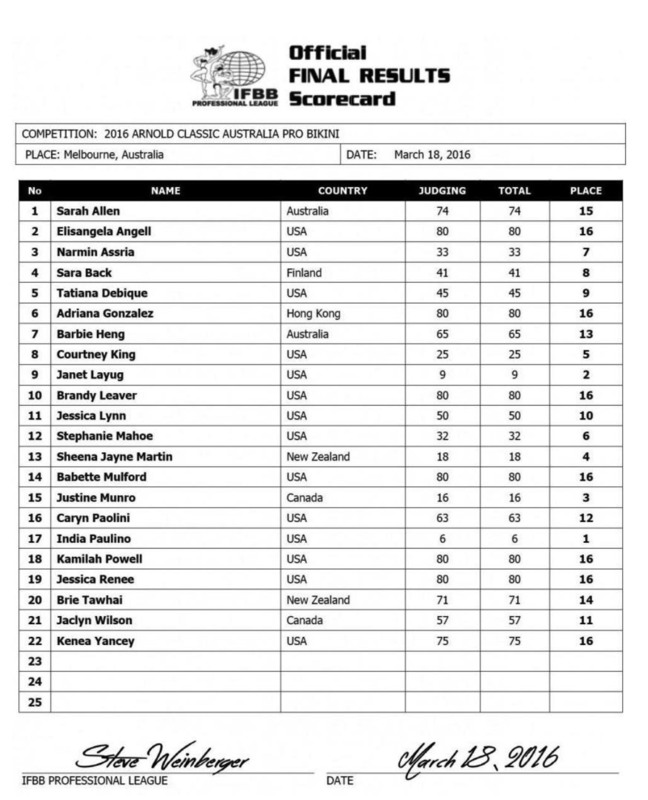 The top six in Pro Bikini, which featured a field of 22, at the 2016 Arnold Classic Australia: Paulino (USA), Janet Layug (USA), Justine Munro (Canada), Sheena Jayne Martin (New Zealand), Courtney King (USA) and Stephanie Mahoe (USA).